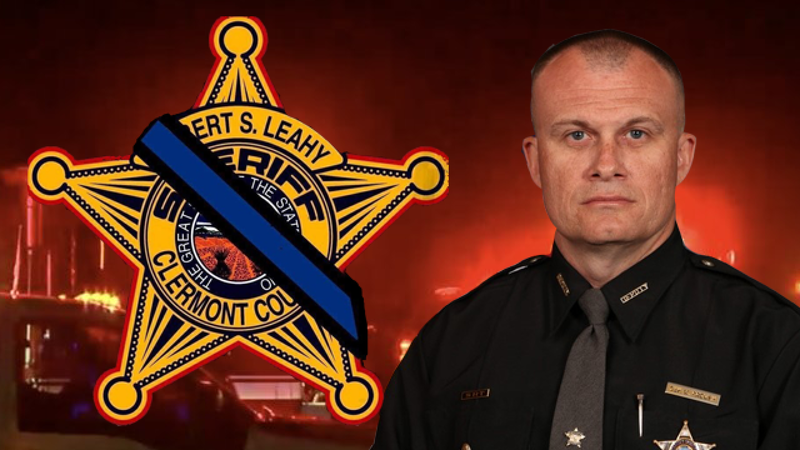 Sadly, Clermont County lost one of its own , Detective Bill Brewer, on February 2 in the line of duty. Det. Brewer was a life long resident of Clermont who served our county for twenty years. His tragic passing will leave a hole in our community. Visitation will take place from 4 p.m. to 8 p.m. on Thursday, Feb. 7 at Mt. Carmel Christian Church. Funeral services will be held at 11 a.m. Friday at the church. He will be laid to rest at Pierce Township Cemetery. There are many fundraisers being held to help his surviving family. If you are interested and cannot find one, please contact us and we will help. We worked hard in 2018 and we have to work harder in 2019 as we set the groundwork for the presidential election in 2020. There are dozens of local offices across the county up for grabs this year. Township Trustee, School Board and Village Council offices all across the county will be voted on in November. These are non-partisan races. Filling these offices will give Clermont County Democrats a chance to start building a stronger base in Clermont County government. One- party rule must end. We do need your help to keep the momentum going. Please join the Clermont County Donkey Club. The Donkey Club is the Clermont County Democratic Party’s major fundraising initiative. 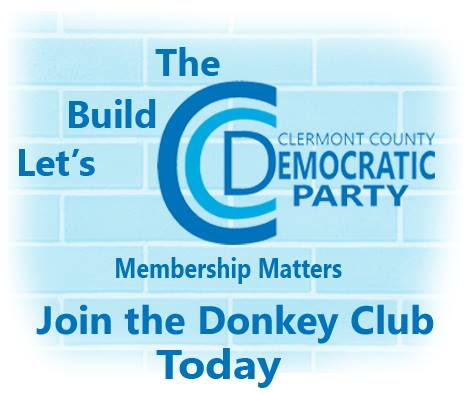 Your membership in the Donkey Club helps us pay our bills, build the Democratic Party in Clermont County, and support our candidates. 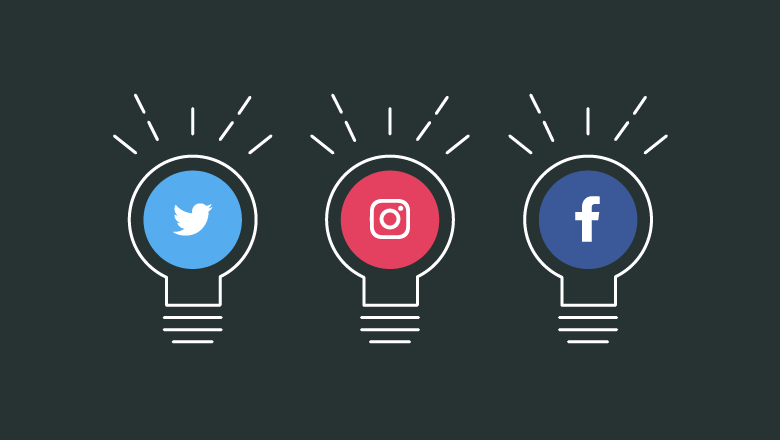 You can join online by going to Clermontdems.org. You can also set up a recurring donation if that works better for you. Whatever amount you can contribute will be appreciated. We are all Democrats working for the future of everyone in our county, our state, and our nation. We are all in this together. Membership matters. Training director, Sam Melendez, is holding two local trainings and an all-day session in Columbus in the next few weeks. All are geared to 2019 (local) races. Every township has at least one trustee position and the fiscal officer up for election in November. All cities, villages, etc. also have elections, plus there are school board seats up as well. If we are to change Ohio, we must start at the local level. Offering voters a choice and a voice is fundamental to democracy. *Run or walk in any of the events of the weekend- 5K, 10K, half/full marathon, relay. Join the Sandy Hook Promise Team!! If you are interested, please email [email protected]org. You don't need to be a serious runner- training support will be provided to all team members!! Ohio Township is the smallest of the 14 townships in Clermont County with a total area of 13.8 sq. mi. The 2010 census reported 5,192 living in the township, 2610 of whom were in the unincorporated portions of the township. There are two school districts that serve the area, New Richmond Exempted Schools and West Clermont Schools. 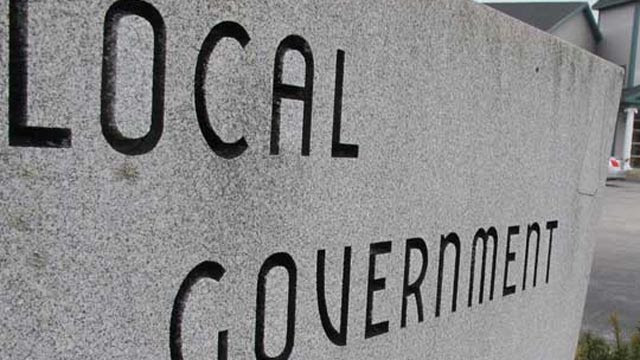 Ohio Township is governed by three elected trustees and a fiscal officer. on the second Monday of each month at 6:30 pm. The Township Center's location is 2877 Mt. Pisgah Road, Mt Pisgah. The Township's meeting room is located behind the firehouse. Township residents are always welcome and encouraged to attend. Once caucus leadership is in place, we will quickly see members and leaders named to the various House and Senate standing committees. 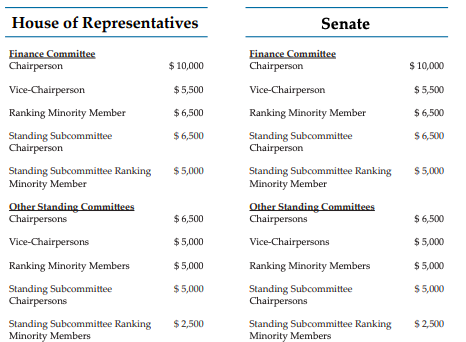 And similar to salary enhancements for being a member of caucus leadership, being named to lead a committee comes with a $2,500 to $10,000 annual pay supplement. While no bills have been introduced yet, we're starting to hear about some that are in the works. Incoming House Speaker Larry Householder sat for a wide-ranging conversation with Statehouse reporters on Friday in which he touched on likely legislative proposals including Stand Your Ground, the 6-week ("heartbeat") abortion ban, taxpayer bailouts of First Energy's nuclear plants, restoring state cuts to local communities, more equitable school funding and prohibiting for-profit charter school operators. House Rep. Kyle Koehler has sent out a cosponsor request to House colleagues advising them that he will be introducing a bill to change the requirements for putting a constitutional amendment on the Ohio ballot. Koehler indicates his proposal would not change the number of signatures required to access the ballot. 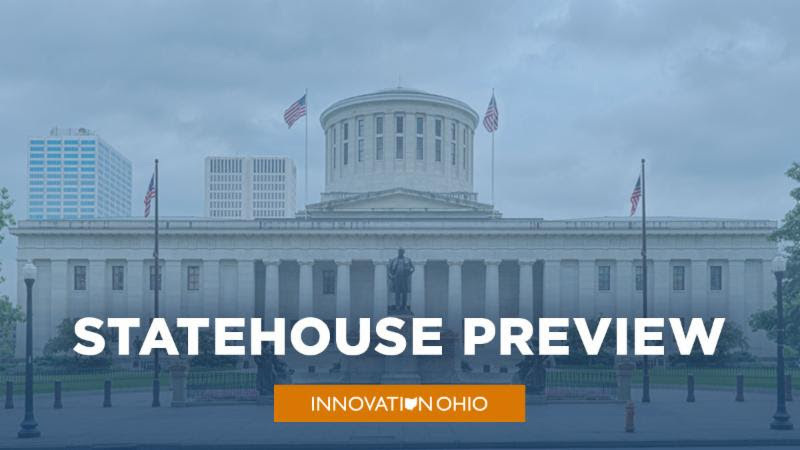 Instead, his bill would require signatures from more parts of the state (in 60 of Ohio's 99 House districts vs today's requirement to signatures in 44 of 88 counties), and from 10% of the electorate in each district, rather than the 5% now needed in each county. Koehler's messaging makes that the strategy is no longer focused on getting monied interests out of politics (because deep-pocketed backers could still hire signature gatherers to work across the state), but instead on having a more "representative" (read: rural) sample of voters weigh in before an issue can go to the ballot. The proposal will absolutely make it much harder for grassroots campaigns to succeed. Bipartisan Push To Eliminate Ohio's "Pink Tax"
Democratic Rep. Brigid Kelly is reintroducing her proposal to end Ohio's application of the sales tax to feminine hygiene products like tampons and pads, but this time it's bipartisan. 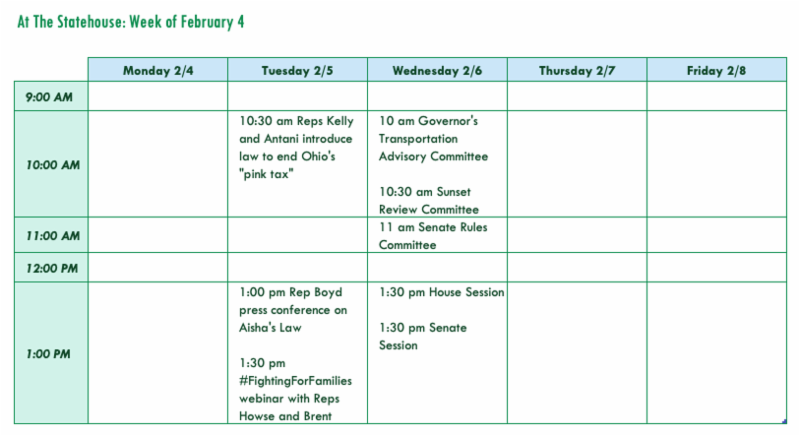 Republican Representative Niraj Antani will join Kelly for a press conference tomorrow to announce their proposal to end Ohio's so-called "pink tax." The bipartisan panel charged with recommending changes to House rules reported back last week with a set of proposals that will give minority Democrats more representation on committees and more power to offer amendments and bring proposals to the House floor. Missing among the changes is a hard commitment to broadcast committee hearings online. 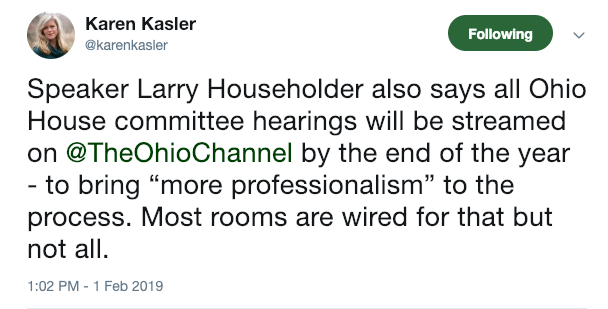 Speaker Householder has verbally committed to do so "by the end of the year," so that is an area where statehouse advocates will need to remain vigilant. Since it is tax time, we would like to reming remind at least you about the OPPF checkoff box on their tax returns. The $1.00 does not affect you returns in any way, shape or form including making the return amount more or less! If you believe in public funding of campaigns, this is a very easy, painless way to advocate for it in Clermont County.